Before last night’s gala, I got a sneak peek at the Metropolitan Museum of Art’s Alexander McQueen: Savage Beauty exhibition, and it is definitely one to see. It is very theatrical, like McQueen’s designs, with lots of stage-like backgrounds, “reveals” and moody, constantly changing music. This spring 2011 Costume Institute exhibition at The Met is on view May 4 through July 31. The exhibition celebrates the late Mr. McQueen’s extraordinary contributions to fashion. From his Central Saint Martins postgraduate collection in 1992 to his final runway presentation, which took place after his death in February 2010, Mr. McQueen challenged and expanded our understanding of fashion beyond utility to a conceptual expression of culture, politics, and identity. Galleries showcase recurring themes and concepts in McQueen’s work. “The Romantic Mind” examines his technical ingenuity, which combined the precision of tailoring and patternmaking with the spontaneity of draping and dressmaking. “Romantic Gothic” highlights McQueen’s historicism, particularly his engagement with the Victorian Gothic, and dichotomies such as life and death. 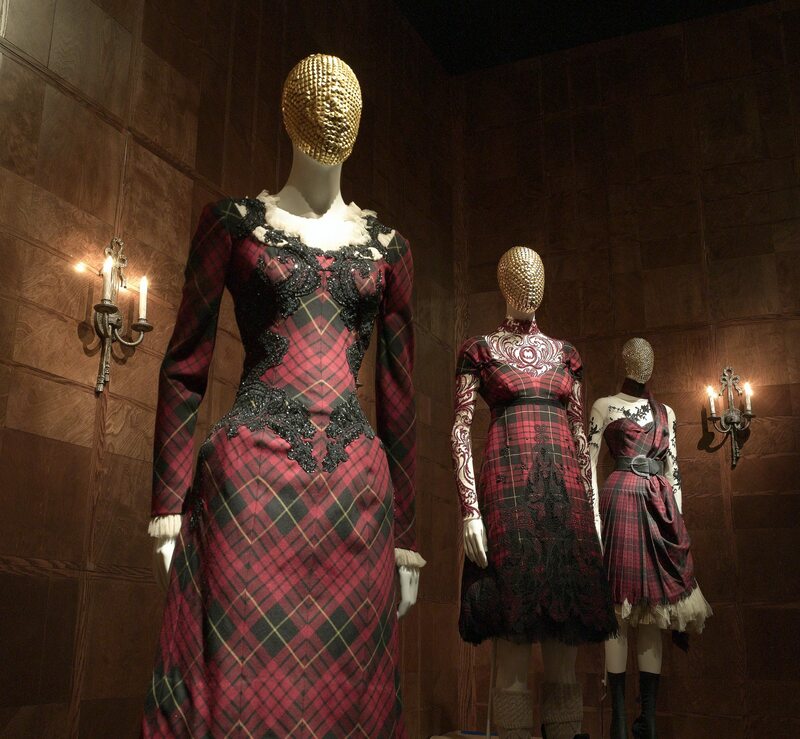 “Romantic Nationalism” looks at McQueen’s patriotic impulses, including his reflections on his Scottish heritage and his fascination with British history. “Romantic Exoticism” explores the influence of other cultures on the designer’s imagination, especially China and Japan. “Romantic Primitivism” captures McQueen’s engagement with the ideal of the “noble savage,” while “Romantic Naturalism” considers his enduring interest in raw materials and forms from nature. Of particular interest is a “Cabinet of Curiosities” that includes various atavistic and fetishized accessories produced in collaboration with the milliners Dai Rees and Philip Treacy, and the jewelers Shaun Leane, Erik Halley, and Sarah Harmarnee. The Cabinet also displays video highlights from ten of McQueen’s renowned runway presentations, including Joan (autumn/winter 1998–99), What a Merry-Go-Round (autumn/winter 2001–02), and They Shoot Horses Don’t They? (spring/summer 2004). The exhibition is organized by Andrew Bolton, Curator, with the support of Harold Koda, Curator in Charge, both of the Met’s Costume Institute. 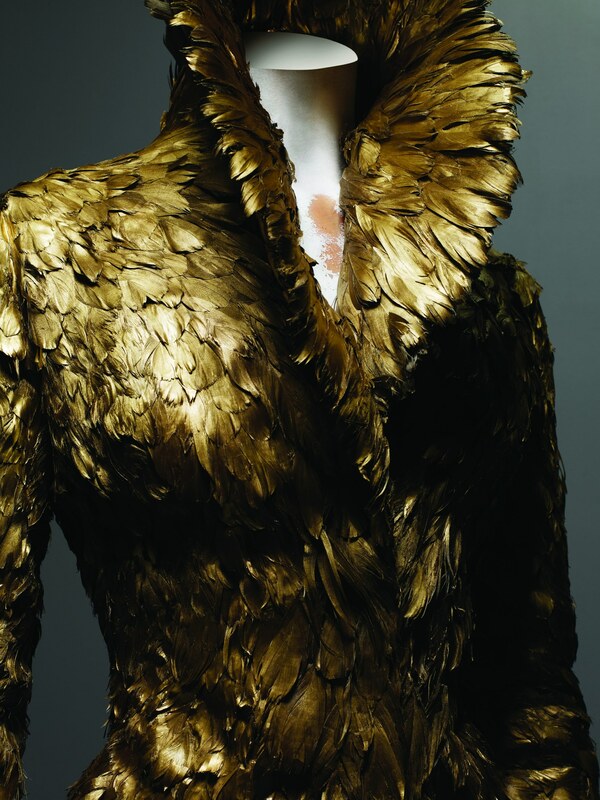 Sam Gainsbury and Joseph Bennett, the production designers for Alexander McQueen’s fashion shows, serve as the exhibition’s creative director and production designer, respectively. All head treatments and masks are designed by Guido. The graphic design of the exhibition is by Sue Koch of the Museum’s Design Department.